Fall usually comes with the beautiful colors of the falling leaves and the slight nip at your nose from the colder weather. Living in Florida, I see a few of those signs, but just on a smaller scale. This is why I like to decorate inside to mark the different seasons. Oranges, browns and reds as well as scarecrows and different colored gourds are always go-to-resources. However, this year, I wanted to teach my kids a little about Fall and get them to help me decorating! At my local grocer, they have packages of the decorative gourds. When I saw them, I knew they would be perfect for my centerpiece idea. They are easy to place and the kids could count them. 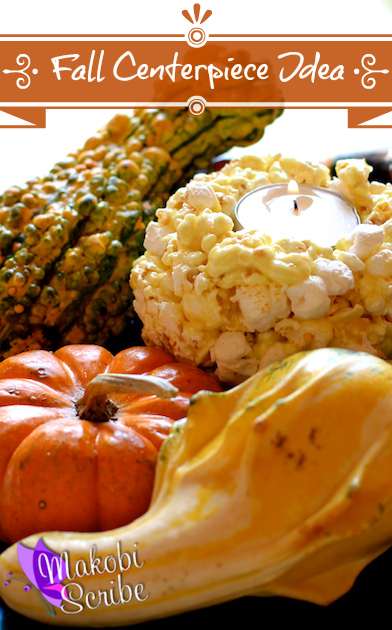 I made the popcorn recipe below using the Good Cook round popcorn baller. 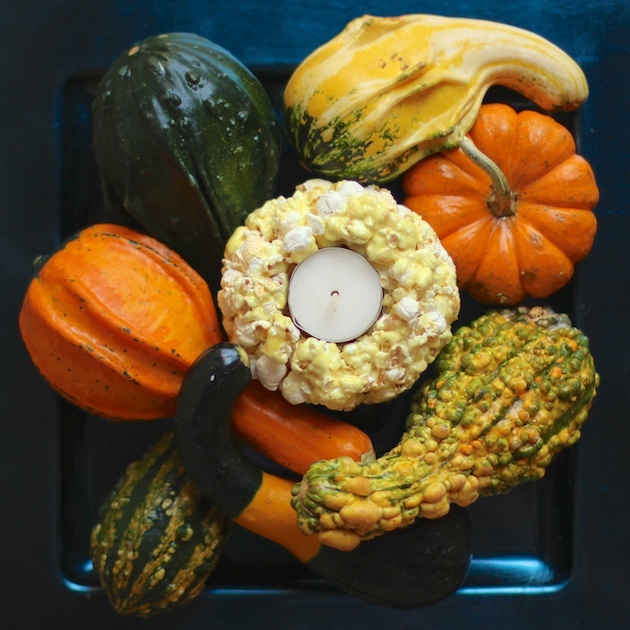 It was super easy to make and the kids had fun arranging and rearranging the gourds. They also liked eating all of the leftover popcorn balls! In the Good Cook batter bowl, microwave the butter and marshmallows on high for 1 minute. 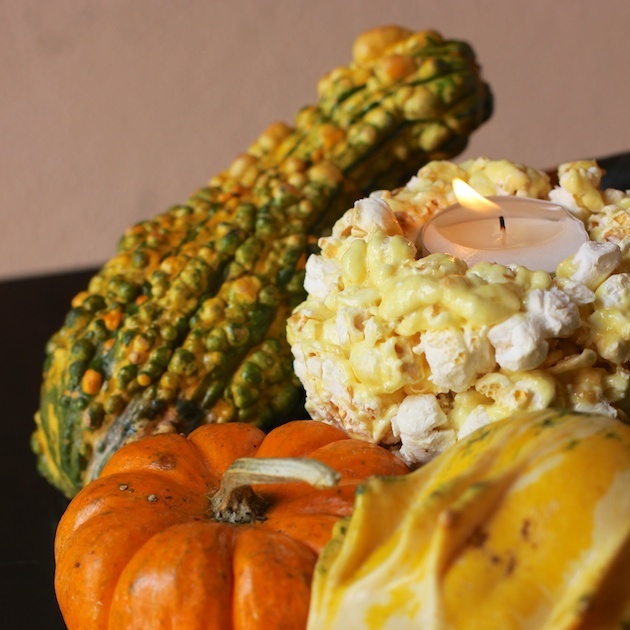 Using butter covered hands, stuff the popcorn into a round shaped Good Cook popcorn baller. Pop the popcorn ball out. 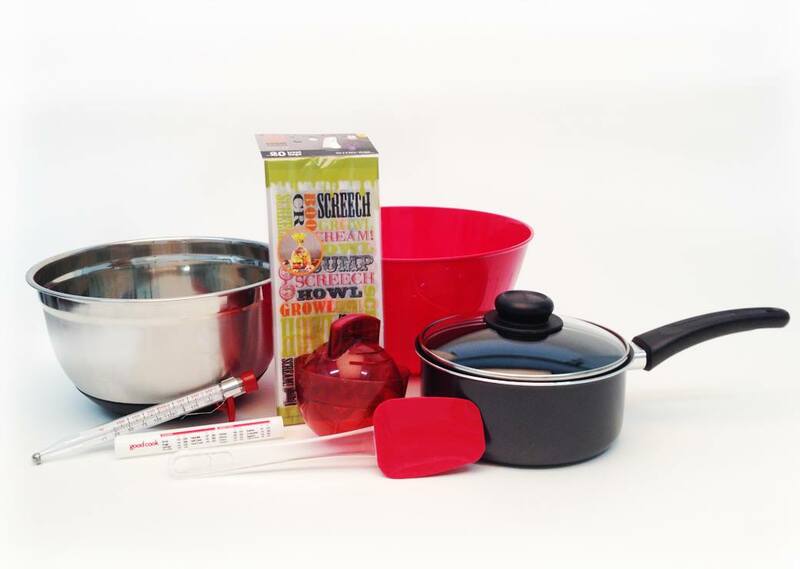 You can enter the Good Cook sweepstakes to win everything in the picture below. That purple dress looks amazing. I think it would look good on any size woman. Also, purple is my favorite color. Even though I am not big on the Halloween theme decor – these are very nice.